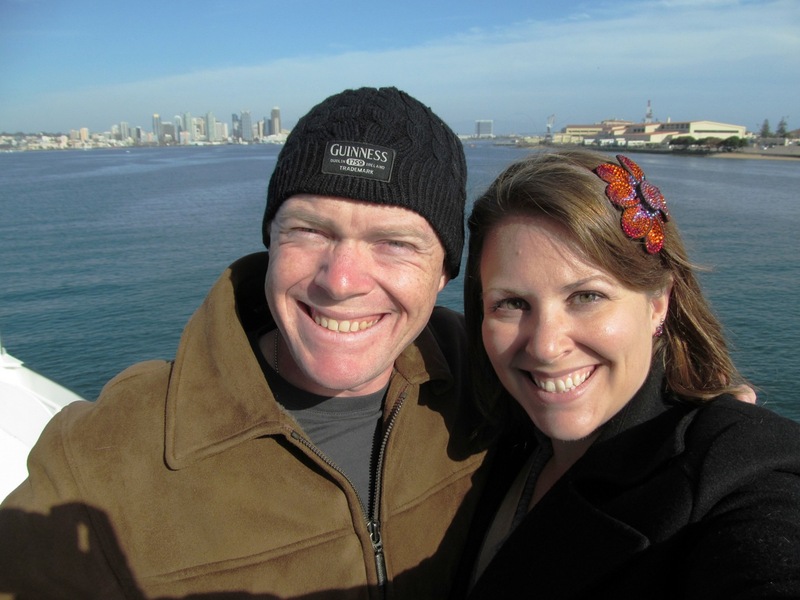 March 26, 2013 July 18, 2014 Joanna V.
Last Thursday, J and I went whale watching off the coast, past Point Loma. It’s migration season for gray whales, coming up from Baja California and going back to Alaska and that region for the summer months. 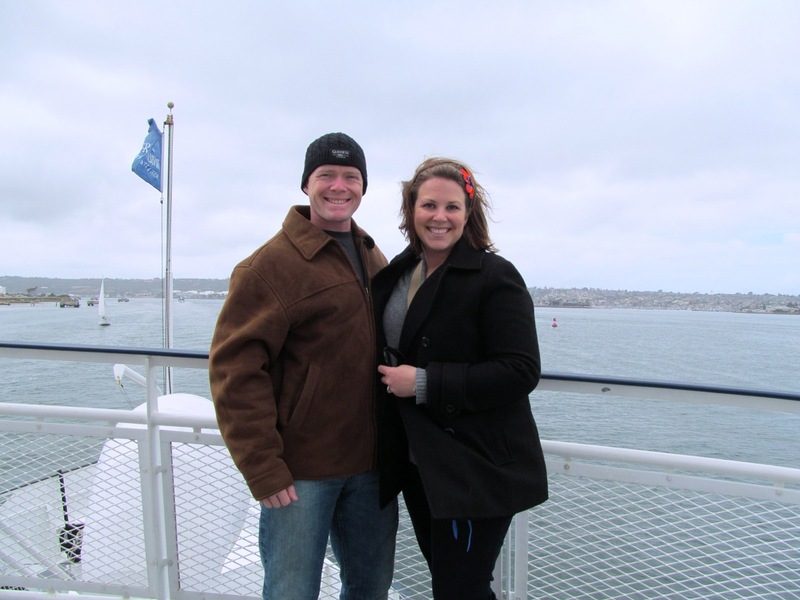 I’ve never seen gray whales, plus it was a chance to take a boat ride through the harbor coming and going. 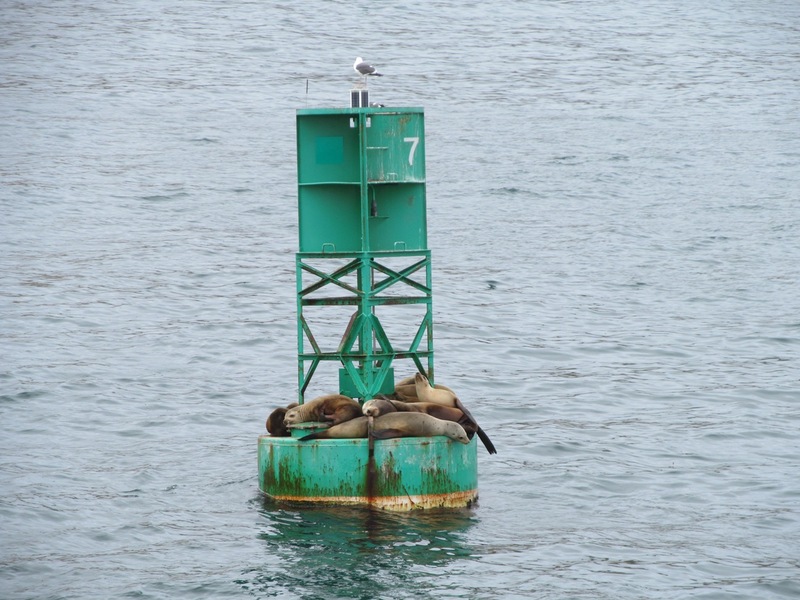 The ship started from the pier beside the USS Midway, then took us out past NAS North Island (Coronado) and we got to see the gorgeous houses along Point Loma, plus the sea lions hanging out on buoys. Heading out, I saw a small whale come up for a breath, and one of the Natural History Museum volunteers on board told me it was most likely a minke whale, which is one of the smallest types of whales and one I’ve never seen before. I didn’t get a photo, it was too fast, but still a very neat sighting. 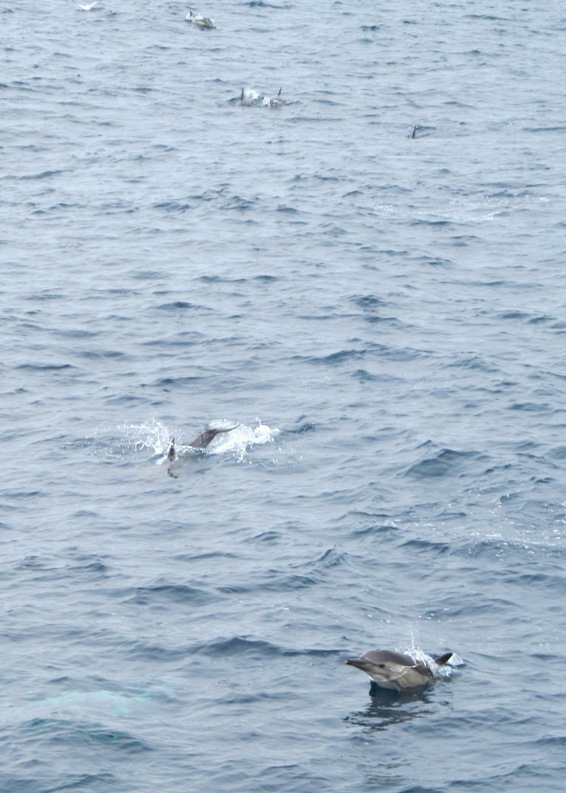 Next, as we were still heading out to sea, we saw a series of splashes. Before long, we could tell they were dolphins. As we got closer, the sheer number of them became apparent: a pod of over a THOUSAND individuals was intersecting the ship’s path! They went around and under it, and kept on going. The guy on the PA said that such pods aren’t uncommon. Wow! They swam so fast it was hard to catch photos of them, but they kept leaping out of the water, swimming back and forth, and flicking their tails to make splashes. 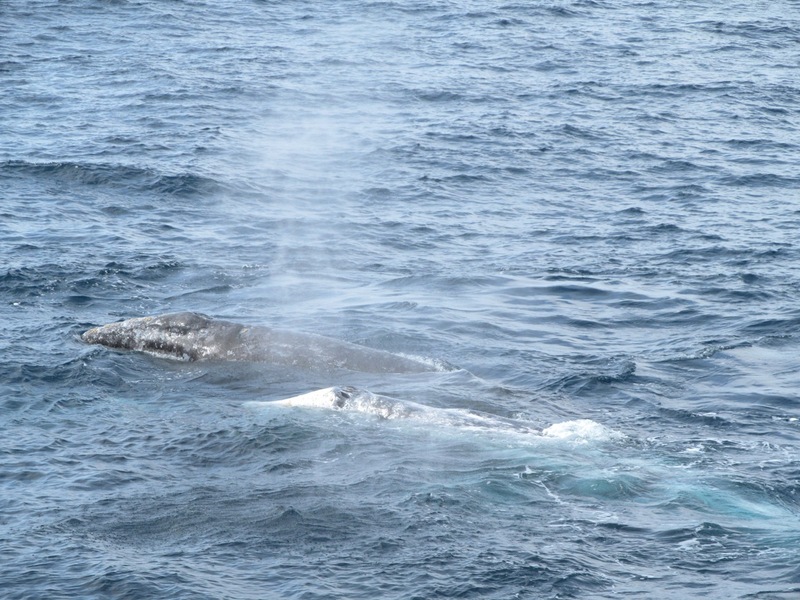 Finally we got out to deep water where the gray whales migrate. 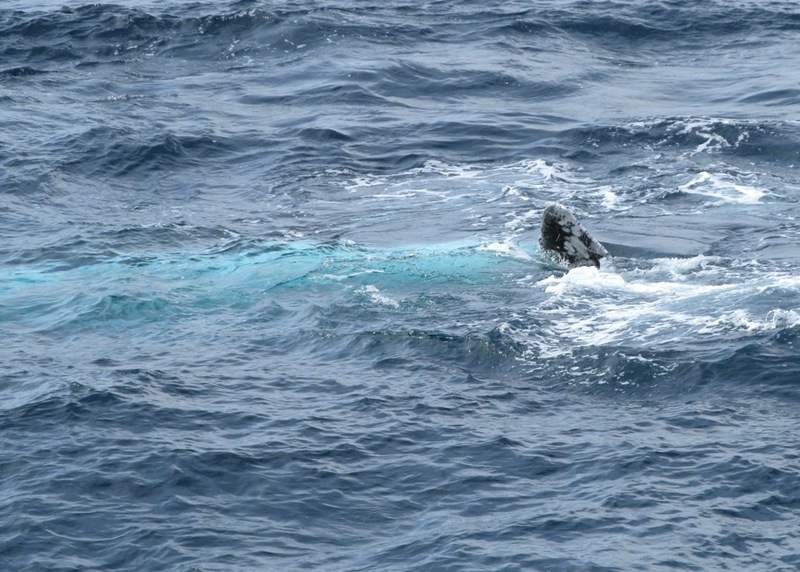 Before long, we spotted some blows ahead, and approached close enough to see: a group of three or four gray whales. They weren’t in a usual migration grouping, though, but appeared to be in a mating cycle, which is unusual for this area. 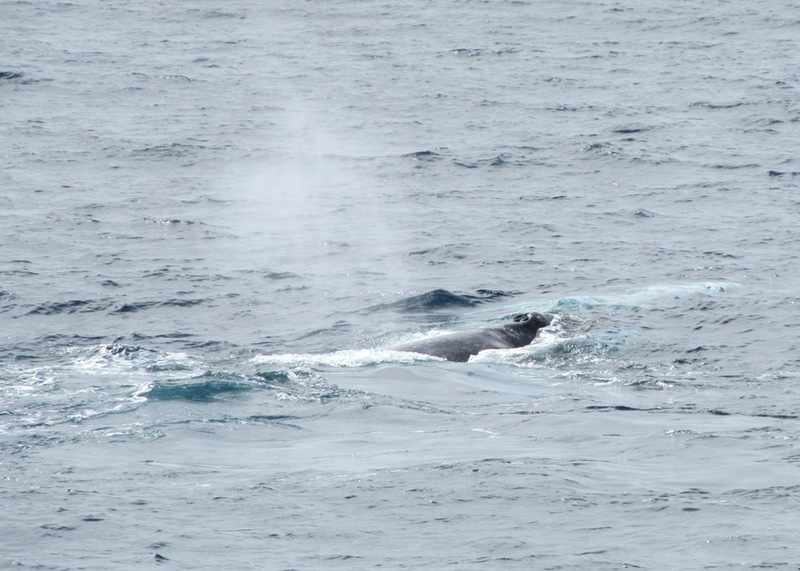 The whales hung out at the surface, swimming along on their sides or backs, with their fins above water. We could easily see their light gray skin under the water, reflecting almost white on their stomachs when they turned. It was fascinating. After a while, we had to head back to shore. 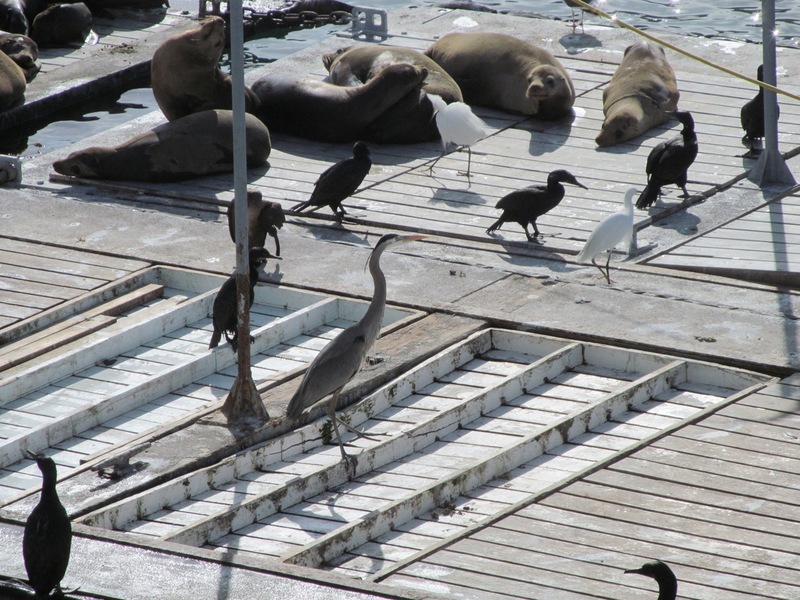 Along the way we passed more sea lions and a whole lot of birds (including herons!) hanging out on the docks where fishermen trap bait fish. 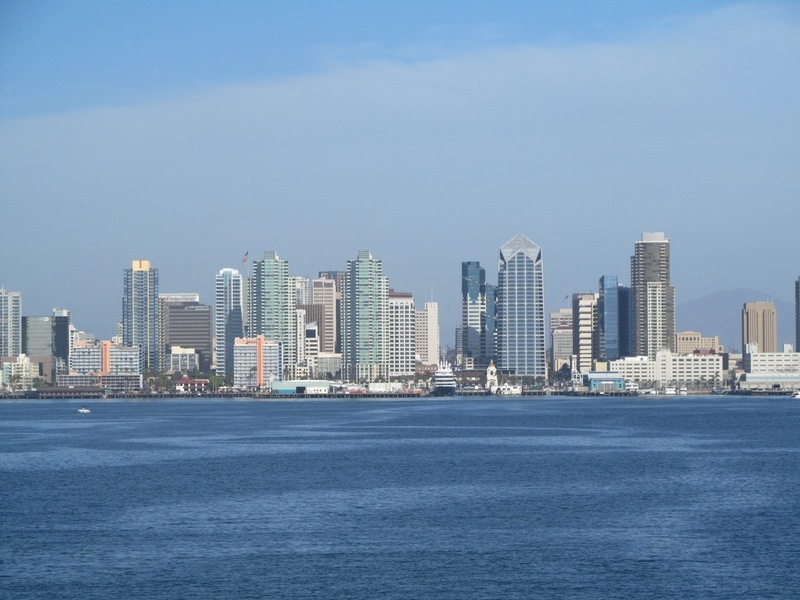 Just as we got back into the harbor, the sun cleared the clouds and we got a beautiful view of downtown San Diego. This is definitely something I’d do again; even though the gray whales will be gone in another month, apparently this summer there will be blue whales in the area, and I don’t want to miss that! Also, a few more photos are here.